When Jerry needs a new tuba, Lucy, who is always in need of money, talks Mr. Mooney into giving her a job at the bank. All she has to do is hand out toasters to people opening new accounts, but she has no success. 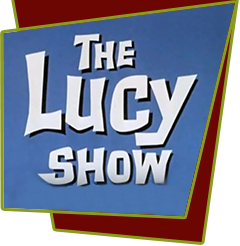 Lucy talks her friend Audrey Simmons into withdrawing all her money and then redepositing it again into a new account to stimulate business and get a free toaster in return. Audrey's gossip soon spreads to all her friends and a rumor that the bank is failing starts a run on the financial institution. The only way to stop everyone from withdrawing their accounts is if a bank robber shows up at the bank, and that would be Lucy. Bloopers: Mary Jane Croft is incorrectly credited as Mary Jean Croft in the closing credits.